This year, MCC celebrates International Women’s Day by expressing our appreciation for all of the women in MCC worldwide who serve as pastors, lay leaders, social justice warriors, educators, mothers, sisters, aunties and more. Women who have offered themselves for many years or who may have only just started on their path of service. We offer tribute to all of MCC’s dynamic women and introduce you to only a handful of them on this International Women’s Day. 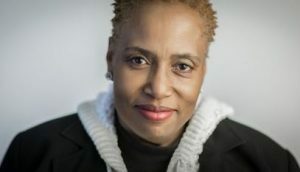 Donna Payne-Hardy is a national LGBT Civil Rights leader. She has received many awards for her transformational, organizing and strategic movement work in the political field for LGBT rights. Donna finished Georgetown University’s Diversity & Inclusion Strategic Management Executive Program in 2015. Her background includes working as the Associate Director of Diversity at the Human Rights Campaign (HRC) for 16 years and as Director of Diversity at the National Black Justice Coalition (NBJC). Her book, Donna’s Pocket Guide to Having Difficult Conversations about LGBT Discrimination, was published in 2012. She resides in Maryland with her wife. is in the final stages of becoming an ordained reverend. 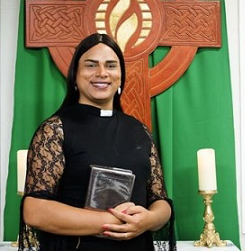 Alexya claims to be “the first transgender shepherd of Latin America.” She is married to Roberto Salvador Junior with whom she recently adopted two children. Alexya studied philosophy at the Pontificia Universidad Católica de Campinas where she got to know the “liberation theology” in depth, and it was thanks to that she managed to “free herself.” She said it was at that moment she discovered the “truth” that Jesus had not actually founded any Church but a community of believers. She then left the Catholic Church to find MCC. Alexya also teaches at a school in the municipality of Mairipora, Sao Paulo. Rev. Dr. Renee McCoy is the recently appointed Bridge Pastor for Eastgate Congregational UCC. 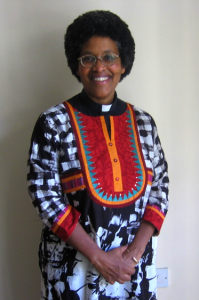 She has been an ordained minister in Metropolitan Community Churches (MCC) for over three decades and has worked in parish ministry in New York City, Washington, D.C., Detroit, Tacoma, and Seattle. Rev. Dr. Renee is the founding pastor of Harlem Metropolitan Community Church (now closed) and Full Truth Fellowship Church in Detroit, Michigan, which celebrated its 28th anniversary this year. 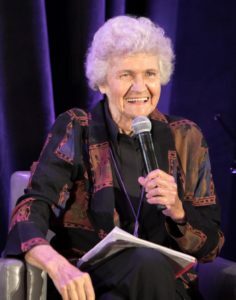 Her ministry has focused on serving those most excluded in society, including LGBTQ persons, homeless individuals, youth, and other disenfranchised groups. Rev. Dr. Renee has worked in HIV/AIDS since the disease first surfaced in 1981 and has been involved in care, prevention, education, and research for more than 30 years. Rev. Dr. Renee is also a social scientist and holds a Ph.D. in Anthropology with a specialization in Medical Anthropology. She has taught a variety of courses at Wayne State University, Eastern Michigan University, and the University of Washington. She is the former Director of HIV/AIDS Programs for the Detroit Department of Health and Wellness Promotion, and the Coordinator of the HIV/AIDS Behavioral Surveillance Study with the Michigan Department of Community Health. It was there she conducted research that focused on HIV/AIDS risk behaviors. As an independent consultant in Seattle, Washington, Rev. Dr. Renee continues to specialize in HIV/AIDS program design, evaluation, and development, and ethnographic research among difficult to reach and at-risk populations. She serves on the Public Policy Team for the Metropolitan Community Churches (MCC) and works to guide and influence that denomination’s global health initiatives. Rev. Emily Worman facilitates all events related to Church in Progress and is recognized by MCC as the pastoral leader. Rev. Emily, with the help of the team, casts the spiritual vision for the community in South Auckland, New Zealand. She said she loves being active in her local community of Mangere East. Many of the Church in Progress activities reflect that commitment, and Rev. Emily said they do their best to donate to, and support, the fabulous work of places like their local Women’s Refuge, Mangere East Community Centre and Respect Our Community Campaign (ROCC). 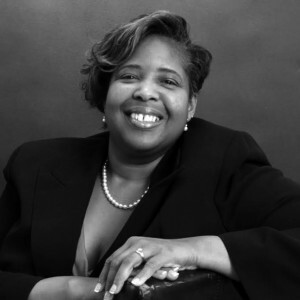 Dr. Imani Woody Macko is the founding director and CEO of Mary’s House for Older Adults, Inc. She has been an advocate of women, people of color and LGBT/Same Gender Loving issues for more than 20 years. Dr. Imani currently works as a diversity and inclusion consultant in the field of health, aging, and issues affecting the LGBTQ/SGL and people of color communities. She has presented on LGBT aging issues at the White House National LGBT Elder Summit and at the 2017 National Equality March for Unity and Pride. 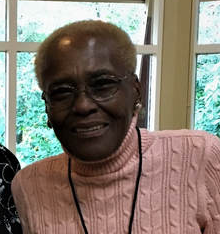 Dr. Imani is a member of the National LGBT Elder Housing Initiative, a mayoral appointee to the D.C. LGBTQ Advisory Council, and is the Program Officer for the Older Adults Advisory Council for Metropolitan Community Churches. 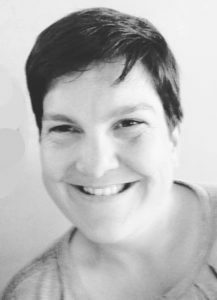 She is a Board member of the LGBT Technology Partnership and has served on many boards, including the Mautner Project and the Women in the Life Association. Jo “JoJo” Ahmed is a member of MCC Baltimore. Before she started attending MCC, she did not understand how her faith, sexuality, and gender identity could exist together. Then she started attending MCC and saw different people of faith with different testimonies. 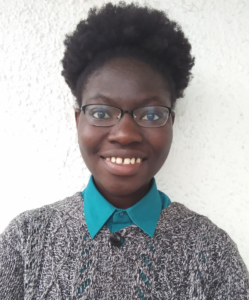 Since attending MCC, she has grown spiritually and learned more of who she is in Christ. She is involved in the church and in various organizations in Baltimore that are focused on social justice. Overall JoJo said MCC is important because it sends not only a message of love, but of justice and hope. 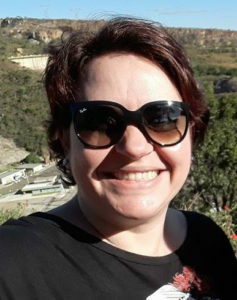 Ana Ester Pádua Freire is a Feminist Theologian, one of MCC’s volunteer translators, and attends ICM Belo Horizonte in Brazil. She has Bachelor in Social Communication, with qualification in Journalism, by the University Center of Belo Horizonte (2001); Bachelor of Theology from the Izabela Hendrix Methodist Institute (2014); and Master of Science in Religion, by PUC-Minas (2015). Currently, she holds a doctorate in Religion Sciences at PUC-Minas, where she studies the relationships between Religion, Politics, and Public Space. She is also a Partner of the Brazilian Association of History of Religions, ABHR. She works with the themes: Queer Theory, Queer Theology, Queer Activism and Feminist Theology.